Published at 20/12/2014 14:57:54 from Argentina, 25679 visits. 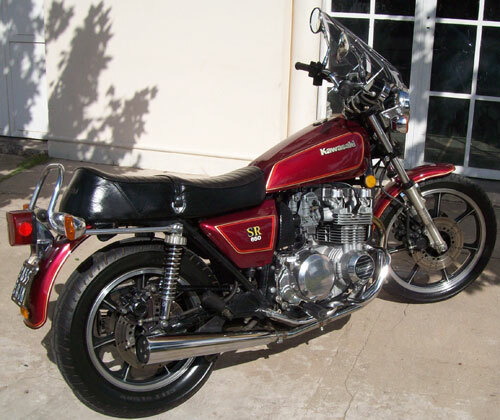 For sale by starting another project bike Kawasaki SR 650 (D4) classic of the year ' 81 very well maintained. Changes of distribution channels (primary and secondary brand Japan did). Since we opened the engine for this purpose, took advantage to change rings (npr Japan marks). It was verified the rest of the engine and did not need more than that. I am owner with tax per day. Based in the province of Buenos Aires (Bahía Blanca). Some technical data: 4 cylinder-4 stroke, air cooled, twin cam shaft to the head, 652cc, 62 hp/8500 RPM motor. Electronic ignition, box of 5 gears, transmission by chain, double front disc and rear disc brakes, fork protectors assisted by air and adjustable rear damping.